INSPECTORS ARE HAPPY, ORPHANS MOVING INTO NEW HOUSING THIS WEEK! 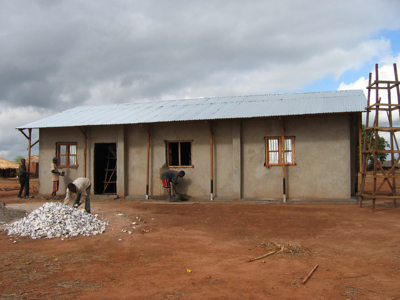 It’s been an INTENSE 6 months of work to pre­pare the new hous­ing com­plexes for our res­i­dent orphans. The girls’ old home had to be torn down, debris removed, and a whole new com­plex built from con­crete brick. That started at the end of June and is now COMPLETE! Hal­lalu­jah, PTL! We have a few spots to touch up with paint on Mon­day but we plan to move our 6 girls and their fos­ter par­ents into this new com­plex on Wednes­day. Noth­ing like a new home for Christmas! The Teenage Boys’ Dorm still needs many inner walls painted, doors mounted, and win­dows screens ham­mered into place. We plan to move them in the first week of Jan­u­ary, as the daily rains (1–2 inches per day) have greatly hin­dered the work­ers. Start­ing at 5 am, we make the most of the few hours we have before the rains hit. Our con­struc­tion teams have worked SOAKED to make things hap­pen in this last week. I really appre­ci­ate their ded­i­ca­tion as they know the dead­line is upon all of us and the job MUST BE DONE on time. Eric did a mar­vel­lous job of installing the solar light­ing sys­tems and the kitchen sinks in BOTH the girls and boys homes. Our kids now have the most mod­ern homes in all of Balama County. The health inspec­tors who came this week were speech­less! The only crit­i­cism they could think of was to put in SOAP DISHES ON THE BATHROOM WALLS! We all got a laugh out of that one! THANK YOU TO ALL WHO GAVE TOWARDS THIS PROJECT SO OUR KIDS COULD CONTINUE LIVING WITH US! Six-year-old Dol­lar, our newest res­i­dent, approached me on his 2nd day in our care and asked: “May I stay here for­ever?” Abused and aban­doned, he knew LOVE as soon as he received it! If we had not been able to build these houses, these chil­dren would have been removed from our care. YOUR LOVE GIFTS ARE GIVING MANY KIDS A FUTURE THEY NEVER DREAMED POSSIBLE. Tues­day March 12th to Mon­day, March 18th in Cor­dova, Alaska. Due to the heavy rains this week, travel to our bush churches is not pos­si­ble. Eric Dry is in South Africa, as his 4th grand­child will be born via C-section this Wed., Dec. 19th. He’s a very proud grandpa and has the pho­tos to prove it! Before he left, he brought me his portable hard drive with all his pho­tos on it to put in our safe. 85,000+ pho­tos to be exact! Most are the min­istry, but he does have many files of his grandkids. The blog will con­tinue weekly dur­ing our wet Christ­mas sea­son. Leona Phillips, Eliz­a­beth Rum­ball (Aus­tralian vis­i­tor), and I are busy plan­ning the orphans’ Christ­mas party. We are pray­ing for a dry day for the party, or we’ll have only water sports for activities! MERRY CHRISTMAS from all of us! I look for­ward to see­ing many of you very soon. Bush Bunny Brenda and the Balama gang. Dixon became very ill last week with a deadly type of amoe­bic dysen­tery. His mother is not well her­self, and her weak­ness made it dif­fi­cult for her to walk the 6 miles from her vil­lage to our mis­sion sta­tion to ask for our med­ical help. ONLY BY GOD’S GRACE did Dixon sur­vive 4 days with bloody diar­rhea that should have killed him within 1 day! Super­nat­ural pro­tec­tion is most evi­dent here, as God’s pro­tec­tive angels sur­round that child, thanks to your many prayers. After a full course of med­ica­tions, Dixon has recov­ered fully and is back to his cheery self again! The mutual deci­sion was made to move the entire fam­ily into one of our widow’s homes at our base for close obser­va­tion and pro­tec­tion. With the mother’s unex­plained weight loss and extreme weak­ness, Dixon’s health as well as the lives of his brother and sis­ter are at high risk. This week, we will orga­nize a med­ical con­sult for the mother to deter­mine what is caus­ing her prob­lem. Please keep her in your prayers. Eric installed the solar panel and bat­tery yes­ter­day, and all that is left is to paint the doors and around the win­dow frames. I’m work­ing with Social Ser­vices and the health inspec­tor in hopes that we can final­ize their inspec­tion this week and actu­ally move them in by next week­end. Pray for favour, as the rainy sea­son is upon us and we need to get them into the house before the mud gets too deep! BOY’S DORM is in the final stages of being painted and the windows/doors being mounted. We hope to have them in by Christmas. NAMARA CHURCH was inau­gu­rated today, as the local mem­bers built it and our car­pen­ters blessed them with the tin roof. NACACCA CHURCH received it’s tin roof last week, so those mem­bers are very happy to have a safe place to wor­ship dur­ing the rainy season. Last week, a group of peo­ple from the west­ern part of Nacacca came to Pas­tor Sufu’s home ask­ing for help. They’d heard about the heal­ing mir­a­cles that Jesus is doing, and wanted prayer for a friend who was very ill with a very dis­tended abdomen (pos­si­ble liver fail­ure). Pas­tor Sufu went to this man’s home with a large crowd fol­low­ing. He prayed for the man but noth­ing hap­pened at that time. The crowd left. But the next morn­ing, the man was sit­ting up and EATING when he hadn’t been able to do that the day before! The word spread like wild­fire, because every­one thought this man was about to die. He’s mak­ing a rapid recov­ery, and we may not know what was really wrong till we meet the Lord him­self. 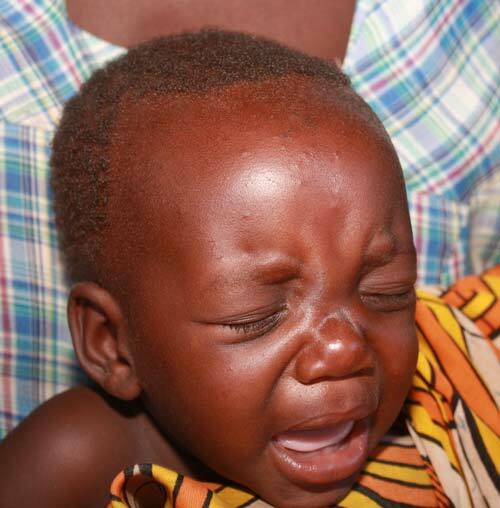 The WORD WORKS, and I encour­age ALL OF YOU to pray for the sick where ever you encounter them. YOUR HEALTH is irre­place­able. Never take it for granted. I praise God daily for my health and His heal­ing power that can flow through all believ­ers as they pray. My heart’s desire is for a greater anoint­ing so that ALL the sick are healed as we lay hands on and pray for them. Eliz­a­beth Rum­ball from Syd­ney, Aus­tralia, has come to assist with our children’s pro­grams for the next 4 weeks. It’s her first Mozam­bique expe­ri­ence, so she is work­ing hard to learn some key Por­tuguese and Makua phrases. The chil­dren love her and get a big laugh at her attempts as talk­ing to them in their lan­guage. Wel­come aboard, Elizabeth! Eric Dry will go on hol­i­day to South Africa on Dec. 15th. Keep us all in prayer as “us girls” will have to hold down the fort while he is gone. MY 2013 SPEAKING TOUR SCHEDULE IS ALMOST COMPLETE If you would like me to speak to a church or group, please con­tact me imme­di­ately as I still have 2 open dates. DE BUSH BUNNY is recov­er­ing from a touch of malaria that started Fri­day night. Malaria requires imme­di­ate treat­ment to keep it from becom­ing life threat­en­ing, but to those of us who have lived here for many years, it is just part of the “envi­ron­men­tal chal­lenges” we have to deal with in order to get the Gospel to the peo­ple. So please excuse my short note this week. TAKING CARE OF THESE PRECIOUS ONES IS OUR JOY! The lit­tle boy, Noberto, that I brought to the hos­pi­tal last Sun­day with an infected foot (a tire tool fell on his foot almost ampu­tat­ing his big toe, and put 2 large punc­ture wounds in the top of his foot), has stayed in one of our homes with his friend Veron­ica all week. His courage in the face of 7 peni­cillin shots was AMAZING. The hos­pi­tal gave me per­mis­sion to admin­is­ter the shots and change his dress­ings at my home. NOT ONCE did Noberto cry or even say ouch when given an injec­tion or when I had to clean his foot wound! But believe me, he was quick to grab his sucker from my hand when I was fin­ished! Hope­fully, he will get to go home later this week, as the Melaleuca oil is help­ing his foot wounds close rapidly. NEW DVD IN THE WORKS. Eric and I just spent 2 days writ­ing and record­ing the voice over on the 4 minute DVD movie we made of this year’s accom­plish­ments. The film will be shown at all my USA speak­ing engage­ments. Copies will be made avail­able in Feb. for those who are unable to hear our sto­ries in person. DE BUSH BUNNY is on FACEBOOK now. If you’d like to be a friend, just search for bren­da­sue­lange and send me a friend request. It’s won­der­ful to now have an inter­net server that is ade­quate to get us on the inter­net most of the time. It’s not per­fect, but bet­ter than what we had! We are pray­ing for favour once again, as another group of inspec­tors are com­ing this Wed. or Thurs­day. So please keep us in mind dur­ing your prayer time. More com­ing next week as we work hard to wrap up con­struc­tion and pre­pare for the rainy season.